Stanford Out of Occupied Palestine (SOOP) is not the first divestment movement to take Stanford’s campus by storm. Calls for divestment from partners of the Sudanese government and coal companies and a historical movement to divest from South Africa marks Stanford’s history with attempts at divestment. Some of the movements have been successful, while others have failed, but divestment has repeatedly been a contentious issue on campus. “Divestment is an act that should be made rarely and carefully,” Stanford president John Hennessy said in 2005 about Stanford’s decision to divest from companies involved with the oppressive Sudanese government. Apartheid was a system of racial segregation in South Africa. Non-white South Africans were stripped of their citizenship, denied political representation, and forcibly removed from their homes and relocated to racially segregated neighborhoods. Stanford had received securities of $18.9 million from South African corporations and earned up $45,000 from dividends from its investments in South Africa. Students rallied for divestment, which they estimated would cost Stanford $125 million in endowment assets spread among 59 corporations. After an announcement by the Board of Trustees that Stanford would not be divesting, students laid down behind the cars of board members in protest. 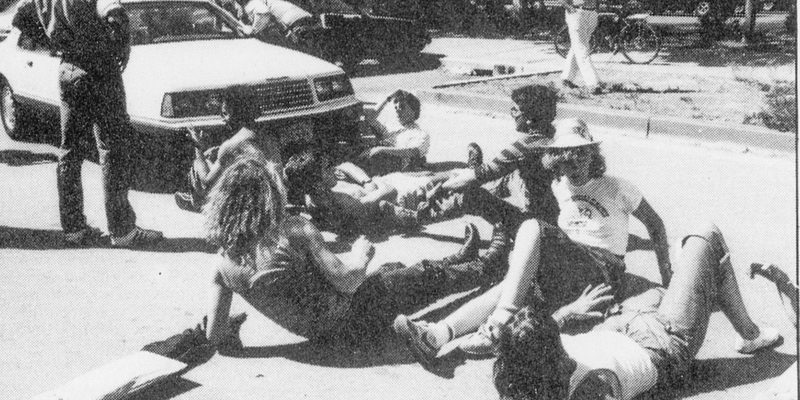 That night, students parked their cars to block the board members from their homes. Most of the students were united in the international movement to divest from South Africa, and various faculty members also called for university divestment, claiming that they were willing to take a pay cut if Stanford divested. On February 13th, 1985, Stanford threatened to sell nearly $4.7 million worth of stock in Motorola, Inc. if it continued to sell to South African military or police. This caused Motorola to publicly back down and no longer sell to South African military. Though university president Donald Kennedy would reiterate numerous times that Stanford would not divest, this did not stop students from protesting. This marked the largest student protest on Stanford’s campus since the Vietnam War. During the conflict in Sudan, there had been one death every three minutes, and one out of three Darfuris had been driven out of their homes. In a civil war, the Sudanese released a militia group known as the Janjaweed upon its people, resulting in over 70,000 deaths. Described as “little short of hell on earth” by U.N. Secretary-General Kofi Annan, the mass genocide of Darfuri people in Western Sudan caused a unanimous vote by the Stanford Board of Trustees to divest from four companies supporting the Sudanese government, in one of which, PetroChina, Stanford had over $1 million invested. In May of last year, Stanford announced it would be divesting from coal companies, making Stanford the first major university to make such an effort. This is just the beginning for the movement, as Fossil Free Stanford is currently pushing for full divestment from fossil fuel industries. Correction: An earlier version of this article incorrectly stated that Stanford did not divest from South Africa. Stanford divested from at least five companies doing business in South Africa. We apologize for this error. Contact Jeremy Quach at jquach ‘at’ stanford.edu. Jeremy Quach is a sophomore Desk Editor for the Student Groups beat and is from Kansas City, Kansas. He can often be found smiling, stuffing his face full of french fries, and mumbling Beatles lyrics to himself. He can be contacted at jquach ‘at’ stanford.edu.